When we think of baby loss we immediately think of the mother and meeting her needs through the grieving process. But let’s not forget that next to her is a grieving father. Everyone grieves, however men process the grief differently than women. It’s important to understand how grief looks for them in order to meet their needs when grieving the loss of a baby. What’s important for our male partners is allowing them the time, space and opportunities to grieve in their own way. Men typically don’t work through their pain openly and understanding that will help meet their needs. 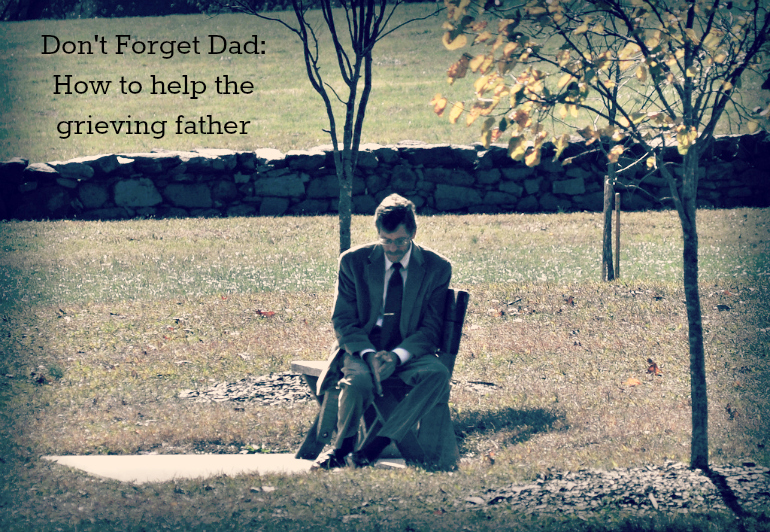 What can you do to help a grieving father? If you are concerned about your partners well being and think his grief may be leading to other unhealthy or life threatening decisions don’t be afraid to step in and seek professional help. Grief looks different on everyone and you know your partner best, ultimately keeping the lines of communication open and safety first are most important. What have you or your partner found helpful when grieving the loss of a baby?